In our feature series looking at first jobs in agriculture, Edward Smith talks to Jennifer Vincent, whose upbringing and love of the countryside saw her pursue a career managing insurance claims for farmers. It was regular childhood trips to a fishing hotel in the Scottish highlands which sparked a love of the UK countryside and eventually informed Jennifer Vincent’s decision to pursue a career in the farming world. Overlooking the shores of Loch Maree, an hour or so north of Inverness, the hotel – which was managed by Jennifer’s father – was immersed in animal life. Her visits involved managing fish as well as shooting and stalking in the nearby countryside and, following the closure of the hotel as a result of fish depletion caused by a nearby fish farm, Jennifer developed a keen interest in food supply and sustainability, which remains with her to this day. She specialised in this topic when undertaking her agri-business management course at Newcastle University. Fast-forward 15 years, and Jennifer is now working as a loss adjuster at Agrical, managing insurance claims on behalf of businesses operating in farming and related sectors, and she recently completed the firm’s graduate training programme. As a teenager, Jennifer attended local King Edward VI Grammar School, where she studied English, economics and history at A-level. Although not necessarily vocational farming subjects, they were topics she was most interested in and, perhaps more importantly, ones which would equip her with the well-rounded set of skills needed to go into what she describes as ‘the business side of farming’. Jennifer then further refined these skills at Newcastle University, where she undertook a degree in agri-business management, graduating with first-class honours. Among the friends and family working in the farming world were both of Jennifer’s brothers, one of whom now runs a technology business comparing grain prices for farmers, and the other an agricultural insurance broker, who proved to be a useful contact when she ventured into insurance. The nature of Newcastle’s agri-business degree meant it mixed academic studies with hands-on experience of farm business. Jennifer says: “Focus was very much on the running of rural businesses, so it covered everything from accounting to the impact of commodity prices on grain supply businesses. During this time, Jennifer explored other career possibilities, including a stint dealing with grain samples at a company which breeds and supplies seed varieties for farmers, growers and food and amenity industries, and a placement at her brother’s business. So what was it which led her into agricultural loss adjusting? It was Jennifer’s brother, while working as an agricultural broker, who alerted her to the fact Agrical were in process of recruiting for a graduate trainee loss adjuster. She says: “I did not really know what a loss adjuster was at the time. I think this is probably the same for a lot of people outside the insurance world, but the more I looked into it, the more I realised it ticked a number of boxes for me. “I wanted to be out and about, working with different people within the field of agriculture. But, crucially, being involved in the business side of the industry, is important to me. 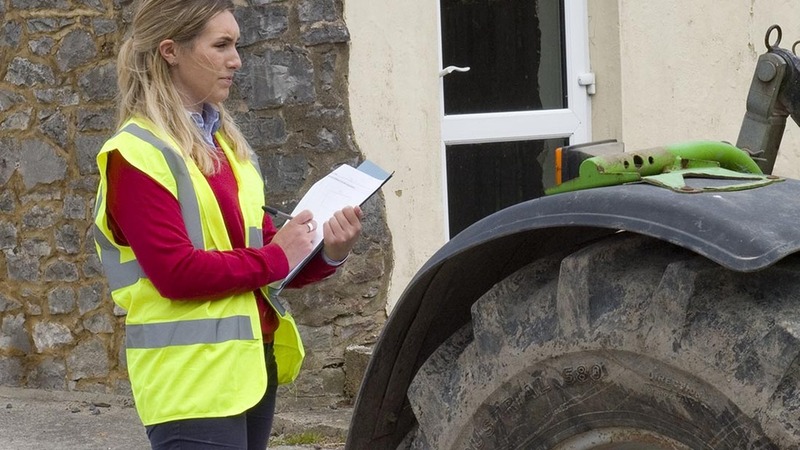 Currently based in Devon and managing various claims across the South West region, Jennifer’s role involves managing insurance claims for farming businesses, from initial site visit through to discussion and negotiations around coverage, repair and reinstatement. She says: “Once I have received an instruction from an insurer or broker, I contact the insured, meet with them to discuss the circumstances of the loss, assess the damage and policy, then report to the insurers. “We will also provide a recommendation of how much the policyholder should be paid and a big part of our role is around loss mitigation – trying to find a practical approach to minimising financial loss for both parties and weighing up the options. Jennifer began her training by shadowing a senior member of the team which she believes was crucial given the nature of the work. “It is a varied role in which no two days pan out the same way. The types of claim we deal with range from damage to farm buildings, caused by flooding or fire, to more specialist areas such as equine and forestry claims. “To be honest, the only way you can really learn is by getting stuck in and dealing with claims, gradually building up your knowledge and experience in the process. Although she largely manages her own workload, Jennifer will partner with a more senior member of the team on a particularly complex or high value loss. If you are interested in contacting Jennifer, email head of features Danusia Osiowy at danusia.osiowy@fginsight.com, or call 01772 799 413. During her time, she has faced numerous challenges, including attending site meetings on her own and managing her workload. She says: “I need to balance the more desk-orientated aspects of the role with driving across the country to attend site visits. This has been particularly true in recent months, given how busy the business has been dealing with the Cumbrian floods. Jennifer is currently in the process of completing the Chartered Insurance Institute’s diploma in insurance, which is a technical and supervisory qualification for insurance staff working across all sectors of the industry. Following this, she will be undertaking her chartered loss adjusting qualification. She expects to have completed both of these within the next five years, at the same time as developing her experience of dealing with larger and more complex losses. She is also interested in developing her international experience, which is an area of the Agrical business expected to grow in coming years, following a move in 2013 in which the company became part of global loss adjusting group McLarens. Farmers Guardian have a hub for all young farmers and new entrants to go to when it comes to needing advice, business tips, YFC news and info on how to get in to farming. Follow us on Twitter and Facebook now!